I’m SO excited! I’ve recently been told that I might go to China with Dad & Anne!!!! Sure, the plane ride (20 hours, approximately) will be long, but meeting my sister is all I care about. I hope the heat won’t affect us too much, though. Hopefully, we’ll get to climb the great wall, see some temples, and statues. Also, yesterday I saw a bunch of ladybugs. A couple of them crawled on me! We even have picture proof. 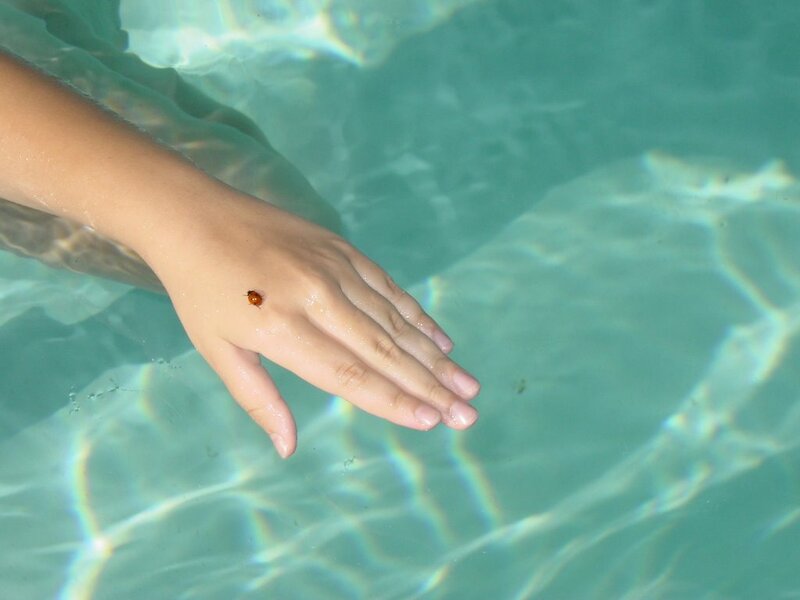 With the adoption from China, ladybugs are signs of good luck! YAY!!! This is so exciting! yes, Ladybugs are lucky! That is an awesome picture. I hope you have a great experience in China. I know you will be a good big sister.